Search and rescue crew members have described how stricken 16-year-old yachtswoman Abby Sunderland remained “in good spirits” after being spotted from the air yesterday. A crew of 11 SES and FESA volunteers that were on board the ‘spotter’ airbus returned to Perth just after 7:30pm last night after successfully locating the troubled vessel in the Indian Ocean. FESA taskforce leader Will Blackshaw said the crew had a very brief period of contact with the young sailor, but said she remained positive despite the setback. "Abby is in very good spirits," he said. "She’s obviously keen to have some assistance, but she is in very good spirits. "The window of opportunity to speak to her was very short, so we had very brief, direct conversations about her health, the condition of the vessel, and her communications. "The seas are very rough indeed, and there is a lot of wind, and she is obviously going to have a very uncomfortable night of sleep. "He said the plane was conducting its first pass of the area and had been searching for Abby for only 10 minutes when she was spotted from the air. "It was a very happy moment for all of the people on board the plane," he said. "However, it was a very serious moment as well, and we were all concentrating on the job at task which was to make contact with Abby. 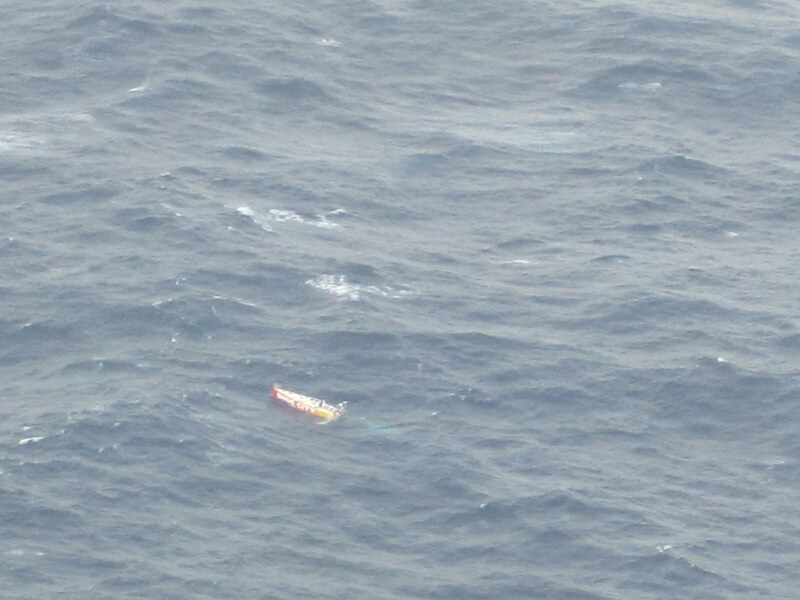 "The crew then made radio contact with the young sailor, with the first words conveyed being "This is Abby".Mr Blackshaw said the crew instructed Abby to activate two further EPIRB devices tomorrow afternoon to ensure a continuous signal for rescue crews to spot her. FESA spokesman Chris Lawson confirmed a second, smaller plane would leave Perth Airport early this morning to conduct another sighting and ensure Abby was okay.SES volunteer Michael Wood, who spotted Abby’s vessel from the airbus, said he had been excited to locate the boat. "Because I was at the front of the plane, I just happened to spot Abby as she came into the field of view," he said. "It was very nervy at first, but very exciting that positive contact had been made." We’re all mindful that Abby’s got a number of hours left so we’ve all got our fingers crossed." Sgt Mike Wear, from WA Water Police, said Abby sounded "very upbeat and very strong" during the brief contact. "It certainly was a very emotional event to be able to speak to the young girl Abby today and see her in that predicament out there," he said. "It was just a very small dot on the ocean – she was on the back deck (and) she was very hard to see. Earlier today, Qantas refused to comment on how much the trip had cost the company or whether they would seek reimbursement for the flight.